This co-edited book provides doctoral candidates with a practical, cross-discipline handbook for successfully navigating the doctoral process – from initial program selection to the final dissertation defense and preparing for the faculty interview. Invited chapters from established higher education experts cover topics ranging from university and program selection, preparing for comprehensive exams and dissertation research, self-care and self-management strategies, and recommendations for maintaining personal and professional support systems. Amanda J. Rockinson-Szapkiw, Ed.D. serves as the Chair for Doctoral Research, teaches research, analysis and proposal development courses, and chairs dissertations for the School of Education doctoral program at Liberty University. Lucinda S. Spaulding, Ph.D. teaches research courses, chairs dissertations, and supervises and supports doctoral research in the Ed.D. program at Liberty University’s School of Education. [T]his text’s strength is in its usefulness in higher education practice as it provides a quick, but thorough reference for both students and professors. While the book is easy to read and is written more like a conversation with a good friend than a weighty academic text, the imagery used throughout allows readers to easily connect with and internalize the process. Furthermore, the editors expertly knit the chapters together in a way that considers the needs of the student as a whole person. . . .[T]he proffered advice for balancing all of these multiple demands is both timely and practical. . . .[T]his book provides a vital contribution to the literature in higher education for students and professors. Simply stated, Navigating the Doctoral Journey: A Handbook of Strategies for Success is a must read for anyone in higher education. Doctoral education can be the most life-changing process in the lives of many. However, all too often, there are few roadmaps to guide sojourners on this critically important journey. Rockinson-Szapkiw and Spaulding provide a truly helpful, informative, and insightful book for navigating all phases of obtaining a doctoral degree. This type of book is long overdue, and begins to fill a very important educational gap….Rockinson-Szapkiw and Spaulding nicely promote awareness of a wide array of coping activities that can greatly enhance one's life in any doctoral program….The chapters are relatively short and practical, and thus perfect for doctoral students who invariably have very busy schedules….In sum, Rockinson-Szapkiw and Spaulding bring a great deal of vision and heart to this landmark book, and provide a much needed beacon of light and clarity for those contemplating or navigating the exciting road ahead in their doctoral journey. Navigating the Doctoral Journey: A Handbook of Strategies for Success is extremely timely. Amanda J. Rockinson-Szapkiw and Lucinda S. Spaulding have provided a reader-friendly book that takes a holistic approach, designed to guide students from the entry stage to the completion stage of the doctoral process. An extremely useful aspect of this book is the identification of the major risks and challenges faced by doctoral students at the various stages of their journeys. Even more importantly, this book contains an array of practical strategies for addressing the risks and challenges that stem from current, evidence-based research. Rockinson-Szapkiw and Spaulding’s book is not only useful for doctoral students at all stages of their degree programs; it also is useful for master’s students who are embarking or thinking about embarking on a doctoral journey. 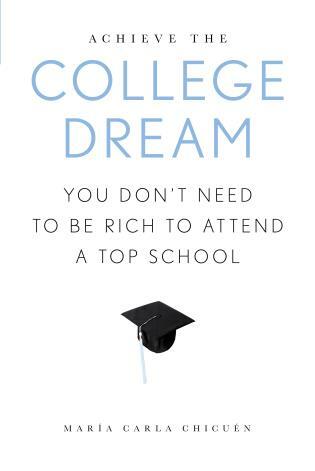 Many others, too, can benefit from reading this book, including doctoral students’ significant others (e.g., spouses, partners), doctoral advisors/supervisors, mentors, and instructors. Simply put, this seminal book begins to fill a void such that it will make a significant contribution to the literature. This comprehensive book paints a picture of what it’s like to apply for a doctoral degree and traverse the complicated path of doctoral studies. The book offers a balance of research and practical application with vignettes, personal reflection exercises, and strategies for navigating this important journey. This book goes beyond a how-to for formatting manuscripts or a discussion of navigating the technical aspects of the dissertation process. The editors have carefully selected and assembled focused chapters on each aspect of the doctoral journey. What is most encouraging is that important topics are addressed which may not have been adequately presented otherwise. These topics include managing stress and anxiety, understanding family relationships and needs, and building appropriate relationships with faculty. This book is a culmination of all things generally imagined and seldom articulated concerning doctoral pursuits. Each chapter expert offers realistic strategies for navigating the challenges inherent to most doctoral terrains. This publication constitutes a well-developed reference guide, which candidates are likely to consult numerous times throughout their doctoral pilgrimage. Each chapter includes strategies for success and practical tips, including how to create a study guide for the comprehensive examination, how to create a professional support group, how to talk to your family about the doctoral process, how to select and work with a chair and committee, how to identify an appropriate research design, how to navigate the IRB process, and how to master the research and writing process.